I haven’t bought that many items, I did buy some make-up as well, but that will be in my halloween haul. 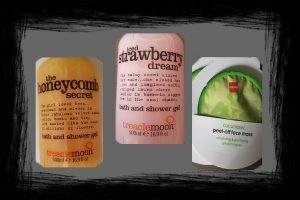 I’m in love with these shower gels by Treaclemoon. They smell so good, especially the strawberry one. I saw that they have a marshmallow one as well, so I’m looking forward to trying that one too. The peel-off mask by Hema I’ve used many times. It feels so refreshing, especially when it’s hot outside. I’ve used the Treaclemoon scrub once and I like that it has a fine grain and not chunky like Ocean Salt from Lush (I do like ocean salt, I’ve almost finished it xD). The other products from this picture I haven’t tried yet, but are all from Etos. Found some cute hairclips and hair elastics at Action. And if you love hair clips like me en the more scrunchies type of elastics (I’m a 90’s kid and it just holds my hair better xD) Then you never have enough basics. The elastics have 2 rows of lace, but I couldn’t get a good picture of it. 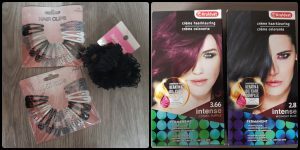 I also bought some permanent hair dye, because I prefer permanent a hair dye because it last longer. I have used a natural hairdye a while back, but I wasn’t happy with that (review is coming) and in september I’ve used Manic Panic and it faded quicker than in the past for some reason. 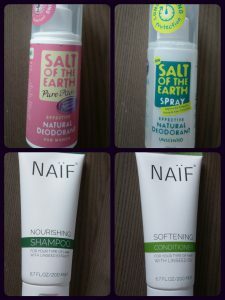 I absolutely love these deodorants from Salt of the earth, I have another scent laying around to try as well. I’ve been looking at natural deodorants, but most of them come in stick form and I don’t like stick deodorants. So when I found these and they had one with a lavender scent, I’ve had to try them and I am so glad i did that. 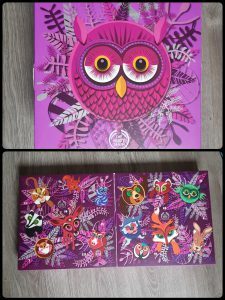 The last thing I’ve bought is this advent calender from The Body Shop. 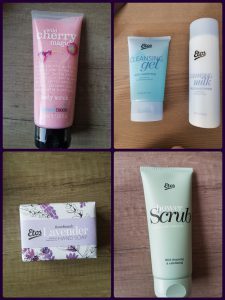 I’ve wanted to try out their products for a while, but never really wanted to commit to full sizes, so I spoiled myself with this and thought it would be a good way to try some of them. I’m planning of doing a daily post on instagram and a recap once a week on here, of course in December. I really want to open it up now, but I’m not allowing myself to think of Christmas just yet, since my baby boy his first birthday will be at the end of November.